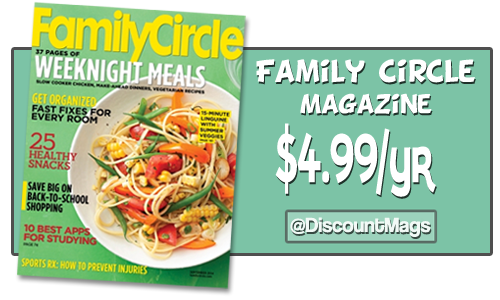 Get a Family Circle magazine subscription for $4.99 a year when you use the code SOUTHERNSAVE at checkout. If you love the magazine, go ahead and order up to 4 years at this price! This deal ends on 4/21. Use the code: SOUTHERNSAVE to get these deals.